This thought is aptly put to action at Sardar Kulwant Singh Chadha Skills Academy, an initiative of the Ponty Chadha Foundation, the CSR wing of the Wave Group. 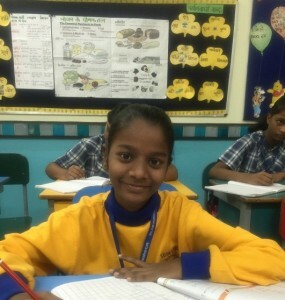 The academy has been established in Dasna, Ghaziabad with the aim to boost the hidden potential of Rural youth, especially those coming from less privileged families, and hone them with requisite skills as well as suitable employment. The institution started providing short term skills training to young men from remote areas falling in the 18-35 age group to work as unarmed security guards. The academy regularly reaches out to eligible young men from marginalised sections of the society and trains them. As the training nears completion, job placement is ensured for every skilled guard passing out of the academy. Currently, the authorities at this skill training academy are making every possible effort to train at least 30 unemployed youth in one batch. 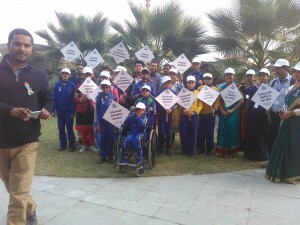 The entire training programme incorporates field demonstrations, classroom sessions, rigorous practical exercises etc. 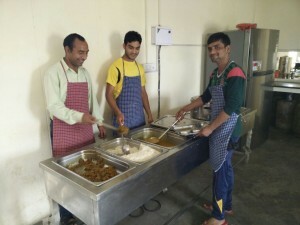 During a given term, the trainees coming from far off places can avail the food and lodging options inside the campus. The hardworking young men undergoing training are provided with a balanced diet. The healthy and nutritious food is cooked maintaining proper hygiene to keep them in good health. The trainers ensure that the aspirants gain knowledge as they share their field work experiences at the workshop held inside classrooms. 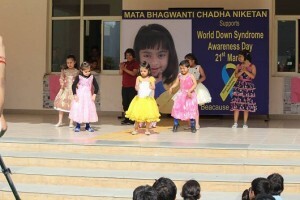 Future professionals are even taught to be empathetic towards the differently-abled individuals by following an inclusive approach for becoming disabled friendly. Driven by the vision of ‘Skill, Scale and Speed’, the academy’s first batch of trained unarmed security guards has already passed recording 100 percent placements. 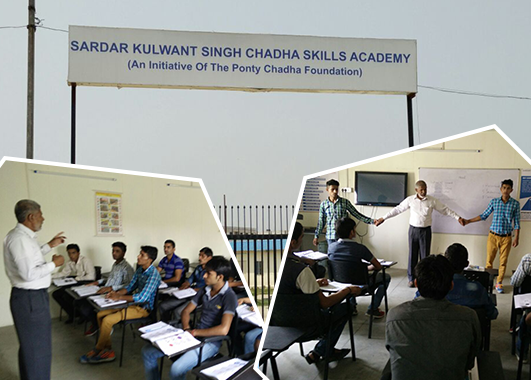 The modus operandi followed at Sardar Kulwant Singh Chadha Skills Academy comprises of lectures, group work, role play, peer education, audio-visual aids, on-the-job training and practical sessions. Recently, the academy became a part of the Skill India campaign after it received affiliation from the Security Sector Skill Development Council (SSSDC). Now, it has earned the status of a Vocational Security Training Provider as it gained recognition from National Skill Development Corporation. Its services are now in accordance with the SSSDC standards. The campus offers state-of-the-art infrastructure including residential accommodation, lecture and training rooms, mess, administrative block, simulation rooms and labs. Furthermore, it looks forward to expanding its training modules based on the demand of manpower from various sectors. The futuristic skills academy aims at expanding its training services to areas, such as real estate, hospitality and facilities management. The act of making the young India independent and empowered was envisioned by Sardar Kulwant Singh Chadha to create a WaveOfChange in the society. And, with the first step already taken, the academy looks forward to scale new heights in future. 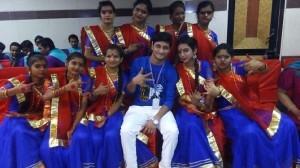 This entry was tagged benefits of skill india, pcf india, sardar kulwant skill academy, skill development program, skill training academy, skill training program for rural areas. Bookmark the permalink.